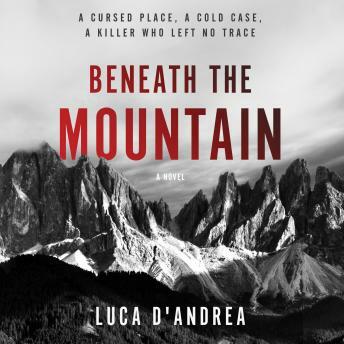 In Luca D’Andrea’s atmospheric and brilliant thriller, set in a small mountain community in the majestic Italian Dolomites, an outsider must uncover the truth about a triple murder that has gone unsolved for thirty years. New York City native Jeremiah Salinger is one half of a hot-shot documentary-making team. He and his partner, Mike, made a reality show about roadies that skyrocketed them to fame. But now Salinger’s left that all behind, to move with his wife, Annelise, and young daughter, Clara, to the remote part of Italy where Annelise grew up—the Alto Adige. Nestled in the Dolomites, this breathtaking, rural region that was once part of the Austro-Hungarian Empire remains more Austro than Italian. Locals speak a strange, ancient dialect—Ladino—and root for Germany (against Italy) in the world cup. Annelise’s small town—Siebenhoch—is close-knit to say the least and does not take kindly to out-of-towners. When Salinger decides to make a documentary about the mountain rescue group, the mission goes horribly awry, leaving him the only survivor. He blames himself, and so—it seems—does everyone else in Siebenhoch. Spiraling into a deep depression, he begins having terrible, recurrent nightmares. Only his little girl Clara can put a smile on his face. But when he takes Clara to the Bletterbach Gorge—a canyon rich in fossil remains—he accidentally overhears a conversation that gives his life renewed focus. In 1985, three students were murdered there, their bodies savaged, limbs severed and strewn by a killer who was never found. Although Salinger knows this is a tightlipped community, one where he is definitely persona non grata, he becomes obsessed with solving this mystery and is convinced it is all that can keep him sane. And as Salinger unearths the long kept secrets of this small town, one by one, the terrifying truth is eventually revealed about the horrifying crime that marked an entire village. Completely engrossing and deeply atmospheric, Beneath The Mountain is a thriller par excellence.